This phone case is suit for Samsung Galaxy A6/A6 Plus 2018. and it is Wireless Charge Compatible. Super slim Concise Designed and looks really good. soft-touch finish of the matte exterior feels great in your hand. Protecting your phone provides better shock-absorbing, shockproof, anti-scratch, and anti-fingerprints protection. 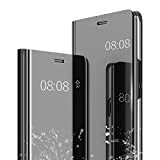 Comfortable, lightweight, sleek design that protects without adding bulk and higher-edges design for screen protection. This case is suitable for Samsung Galaxy A6/A6 Plus 2018. Premium Protection - This case offers stylish durability and complete coverage that protects your Phone from scratches, dirt and bumps. 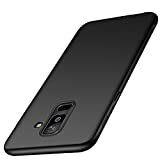 The Samsung Galaxy A6/A6 Plus 2018 case can 360 Degree fully protect all parts of your phone, especially the webcam in phone, your phone will not be scratched, soiled or broken by accident. 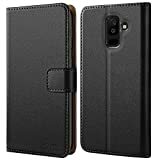 Ultra-Slim Snap On - A lightweight and compact cell phone cover, our case snaps on quickly and easily without adding extra bulk to your pocket, purse or backpack. ADVANCED PROTECTION: This case has a unique design which incorporates a silicone front with a tough hard polycarbonate outer shell. The result is a case that provides impact protection and shock dissipation for your Samsung Galaxy A6 Plus 2018. 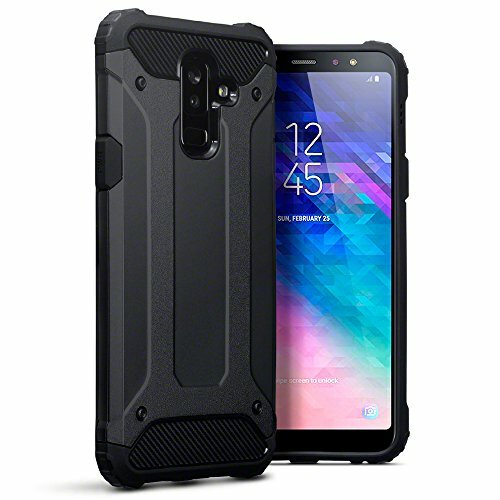 DESIGNED FOR THE SAMSUNG GALAXY A6 PLUS 2018: This ultra protective impact case is custom designed to fit the Samsung Galaxy A6 Plus 2018 like a glove. Precision cutouts for camera, ports, and buttons keep everything readily accessible. You can charge your phone without removing it from the case and listen to earphones with the case closed. SUPER GRIP: This drop protection cover has a metallic matte exterior hard shell, It can be more securely held in the palm of the hand and helps prevent your Samsung Galaxy A6 Plus 2018 falling from slippery surfaces. 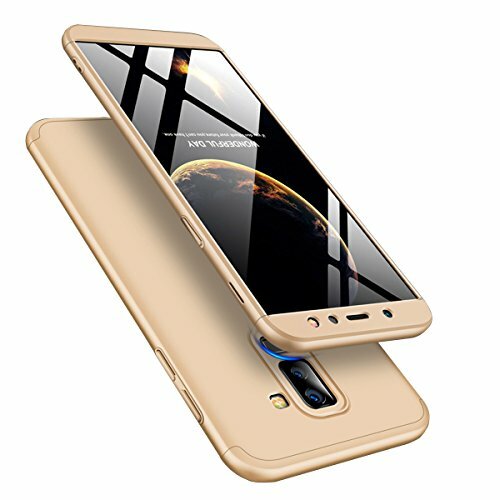 STYLE: The perfect high-tech, premium look for your phone. 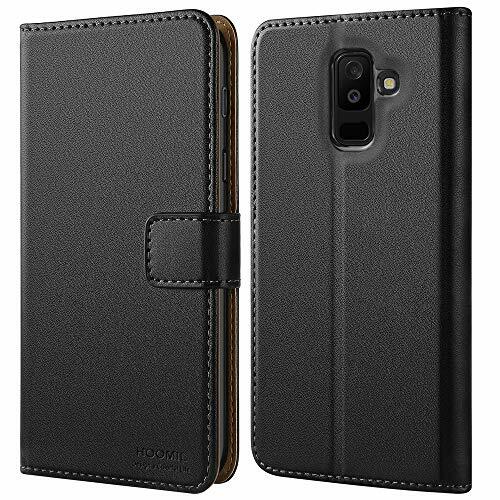 NOTE: This leather case is compatible with SAMSUNG GALAXY A6 PLUS 2018, please check your cell phone model before buying. TOP QUALITY: This Samsung Galaxy A6 Plus 2018 Case is made of high quality PU leather and flexible TPU, protects your smartphone from accidental drops, bumps, dust and scratches. 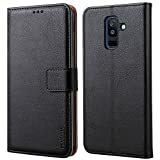 MULTI-FUNCTIONAL, SIMPLIFY YOUR LIFE: The Samsung Galaxy A6 Plus 2018 Wallet Case featuring 2 Card Slots and 1 Money Pocket, you can carry around your ID, credit cards and cash, without having to take your wallet with you. 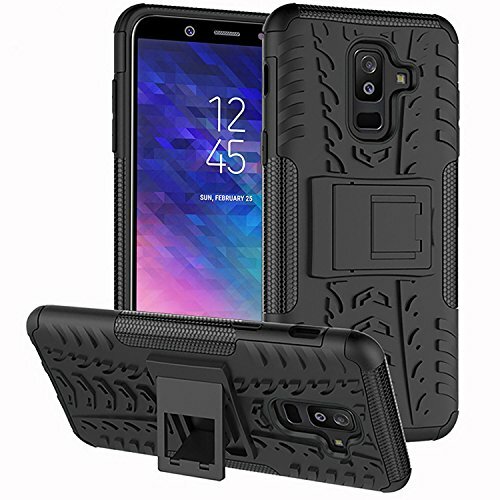 PERFECT VIEWING ANGLE: This Samsung Galaxy A6 Plus 2018 Flip Case can be switched to a horizontal position and act as a stand function, convenient for movie-watching or video-chatting. ✅ MATERIAL: Samsung Galaxy A6 Plus 2018 Mirror Case Outer Cover for PC Hard + Premium Soft Touch Leather, Easy access to all ports, controls and buttons without removing the case. 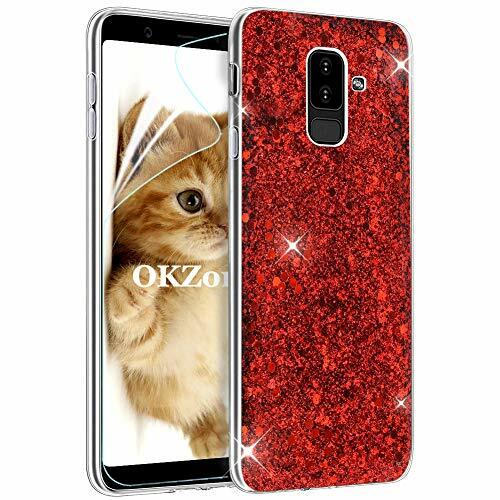 ✅ SAMSUNG GALAXY A6 PLUS 2018 MIRROR CASE CLEAR COVER DESIGN: The transparent design of the cover allows you to quickly view calls, messages, date, time and other notifications. ✅ FOUR CORNERS ARE WRAPPED: 360 degree protection for the whole body of your smart phone.Watch your phone from drops, bumps, smudges. a constant sense of safety, anti-pollution, no fingerprints. [SAFETY & SECURITY] Provides optimal protection from everyday bumps, knocks, drops, dirt, scratches and marks and ensures that your device remains protected, safe and secured at all times. 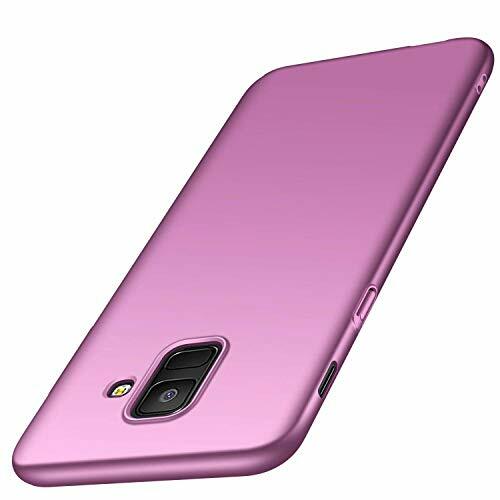 [MADE OF TOP-GRADE MATERIALS] Designed with high-quality Polycarbonates (PC) strong top shell and Soft Silicone inner layer which holds your Samsung Galaxy A6 Plus in place for extreme protection. 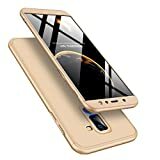 [CONVENIENT ACCESSIBILITY, PRECISE CUTOUTS] Featured with easy access and cutouts for camera, charging, speakers, headphone and lock button without taking the phone out of the case. [EXCELLENT GRIP] Anti-slip rugged materials add a lot of grips to prevent your smartphone from slipping out of your hands and makes it easy to use and hold. 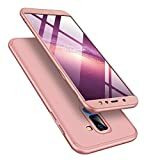 [COMPATIBILITY] Specifically designed for Samsung Galaxy A6 Plus 2018 model only. Full warranty with worry-free daily use of your smartphone. 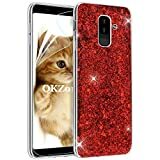 Bling Bling Style: Solid color with sparkles elements makes you and your phone look glamorous and fashionable. 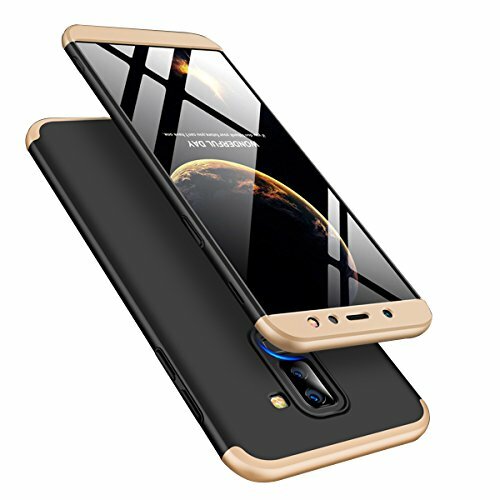 Made of high quality soft TPU which is safe and protective, light weight which fits your phone perfectly. 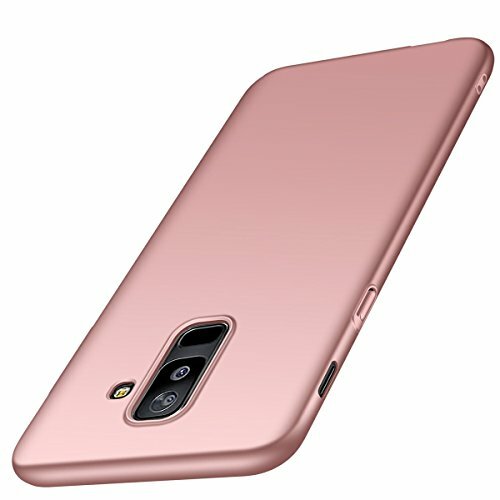 Ultra-Thin & Lightweight design to keep the original beauty of your mobile phone and give you excellent grip. Camera Protection: Front raised lip to protect the screen when placing screen down, while raised back lip to protect the camera from scratching.